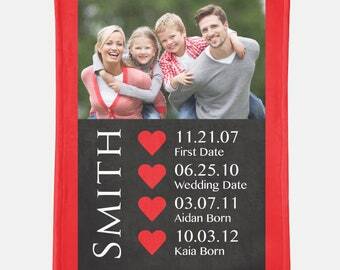 Our Custom Mothers Day Blanket is a sweet, personal gift idea. Our Personalized Photo Blanket will feature your Favorite Photo(s) and Family Name (or Mother, Grandma or any other name) with or without year established. 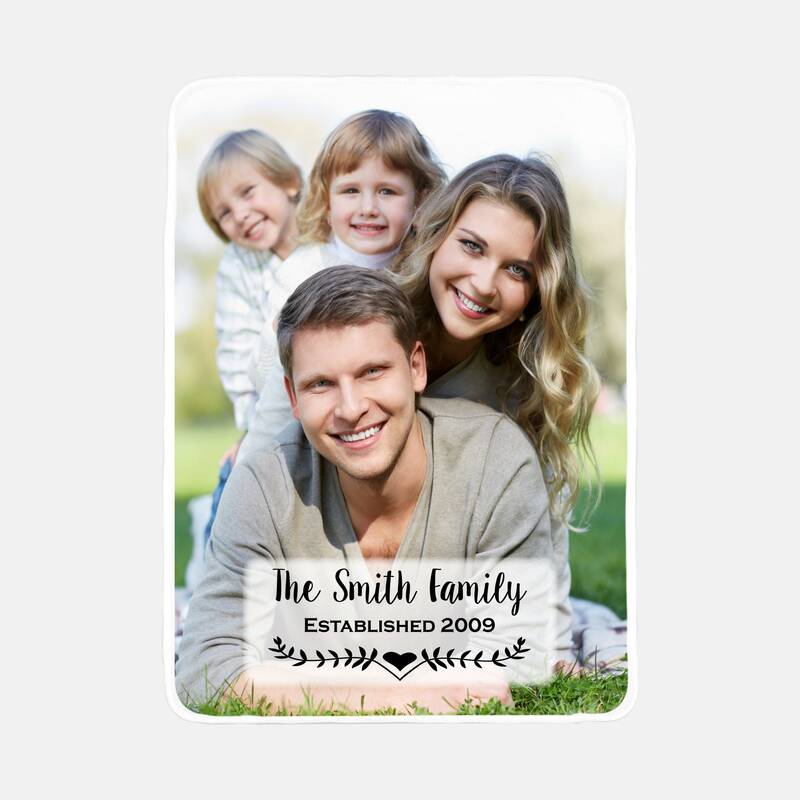 We can print 1 photo or multiple photos. ❤️ ORDER BY APRIL 24TH FOR MOTHER'S DAY DELIVERY WITH STANDARD SHIPPING ❤️ EXPEDITED SHIPPING and PROCESSING is available for orders placed after 4/24 message us for prices! 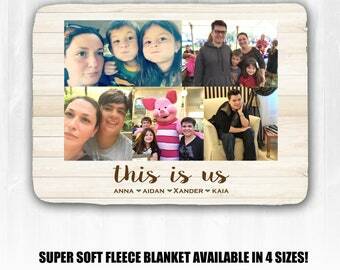 -Printing: High resolution photo(s) is needed in order to print clear. 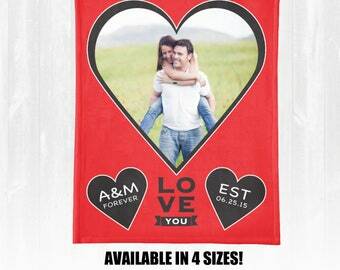 Print colors may vary slightly as we are printing on fabric. If you want colors, fonts or placement DIFFERENT than shown in the examples contact me. There may be a small redesign fee. 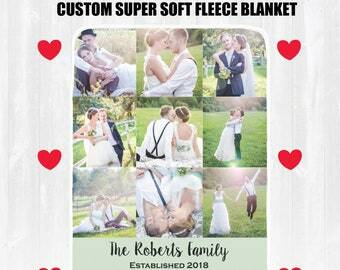 Add this Listing to your cart, enter the Family Name & Date Established to go on the Blanket (if you'd like a name & date on the Blanket) in the Notes to Seller Section of the checkout, and checkout through Etsy. 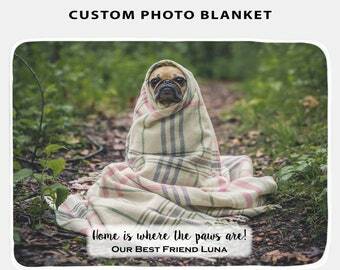 After you checkout you can email treasuredmomentscard [!at] gmail.com with your high resolution photo(s) for the blanket.